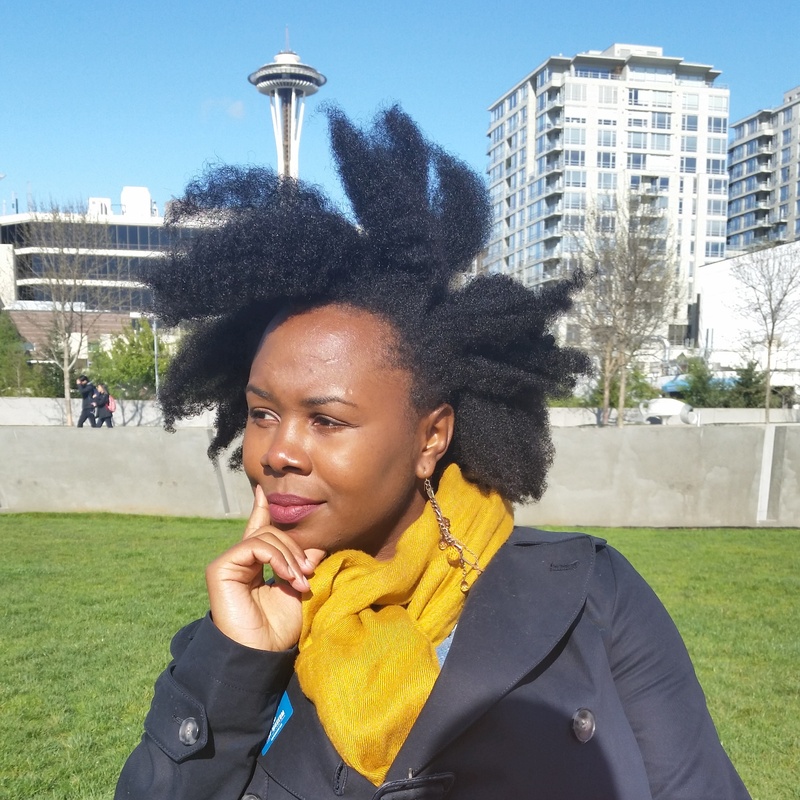 First and foremost, Seattle is such an amazingly vibrant city with so much life! I remember riding on light rail train from the airport and being mesmerized by all the green trees and water, yes the water! Aside from the daily rain showers, there is plenty of water ways throughout the city giving it so much life. The culture of the city is laidback and easygoing. People assume that it rains all day in Seattle and I realized that you have to visit to see that isn’t the case. In planning this trip, I prayed to the sun Gods pleading for favorable weather so I can explore the outdoors. To my surprise, I quickly learned that it doesn’t rain all day! There were scattered showers and then the sun came out calling for a beautiful day. Everyone who has ever visited Seattle will tell you to go to Pike’s Place Market and they are absolutely right! 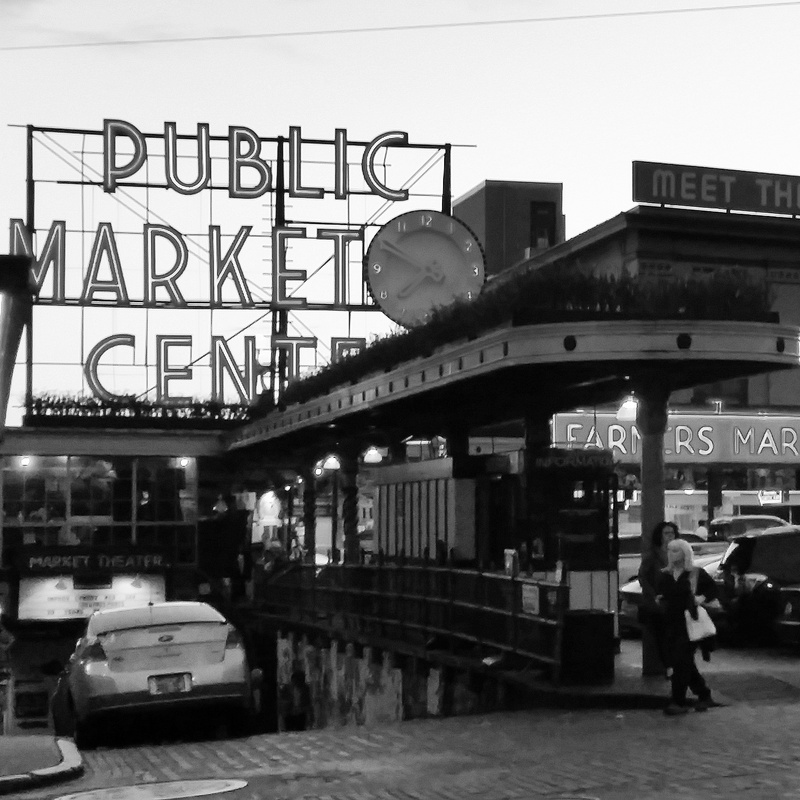 This covered market overlooks the waterfront and is home to some of Seattle’s freshest seafood. There are tons of gourmet restaurants and food stands near by as well. From fresh organic lavender and ginger soda to gourmet clam chowder, you will NOT be bored. My favorite was Beecher’s Handmade Cheese. Oh yea, it was carb day! I ordered the mariachi Mac cheese and was in heaven. If you are looking for good food and a spectacular view of the city, head over to Marination Ma Kai, which is Asian fusion and Hawaii restaurant along Alki’s Beach. It’s a beautiful place to watch the sunset and take photos of Emerald’s City beautiful skyline. And before I forget, Seattle is home to several amazing coffee shops. In fact, the first Starbucks is just a short walk from Pike’s Place Market. 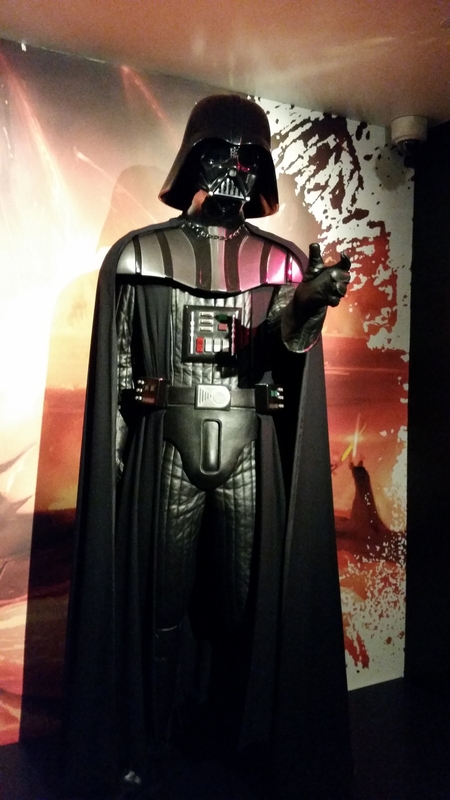 The Experience Music Project Museum is a MUST see if you’re a music lover like me. I thoroughly enjoyed both the Jimmy Hendrix and the Nirvana exhibits. I must admit this was my first real introduction to grunge music, which is popular in the Pacific North West. 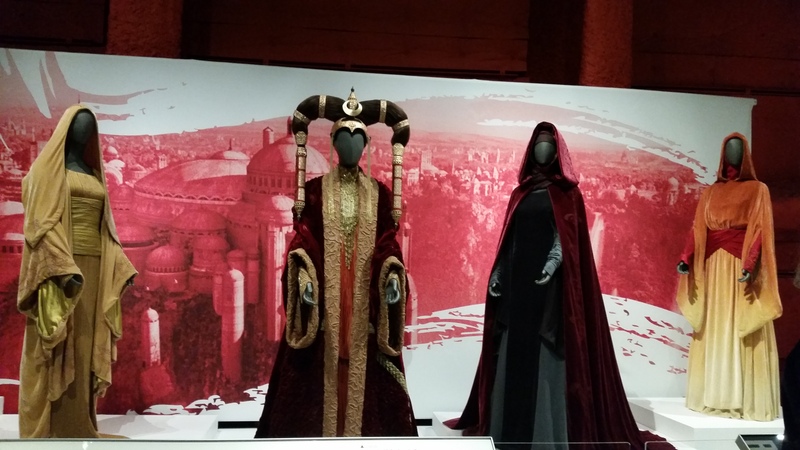 If you are a Star Wars fan then you will be in geek heaven over the Star Wars Power of Costume exhibit which showcased varied character costumes and design. 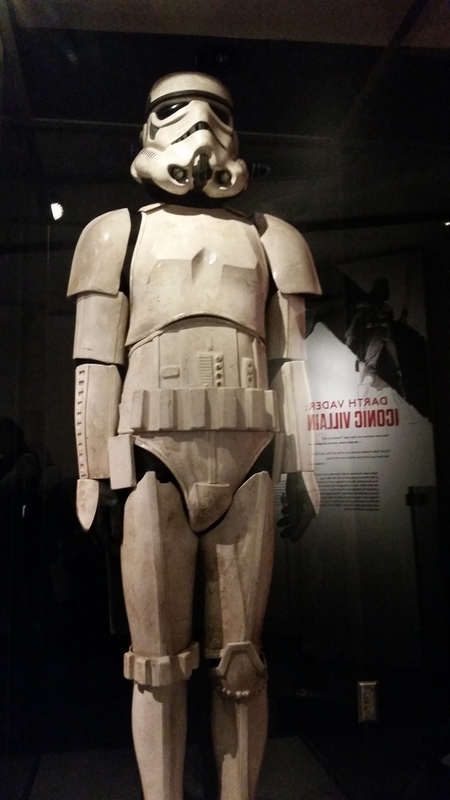 I must admit I’ve yet to see the original Star Wars film of 1977 but it was really neat. 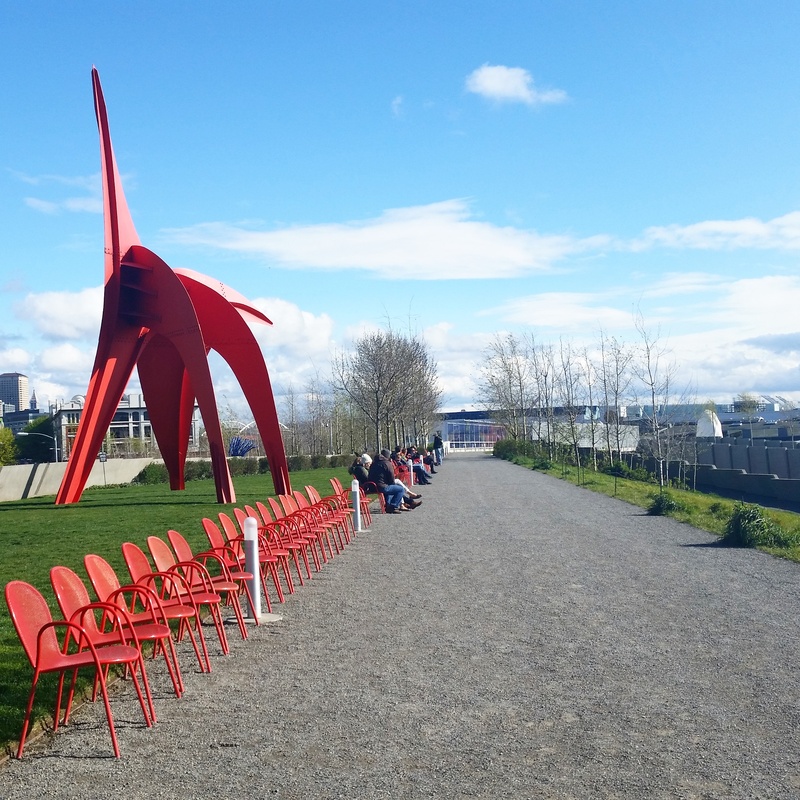 Olympic Sculpture Park is the perfect place to spend an afternoon and relax while taking in Seattle’s beauty. There is a nice view of the beach and space needle, which is great for taking photos. The metal sculptures are interesting and nicely adds to the ambiance. When traveling to a new city, I usually assess walkabilty and public transportation. Seattle is very much a walkable city with an excellent public transportation system. I stayed in Capitol Hill which is centrally located and I was able to get around relatively easy. 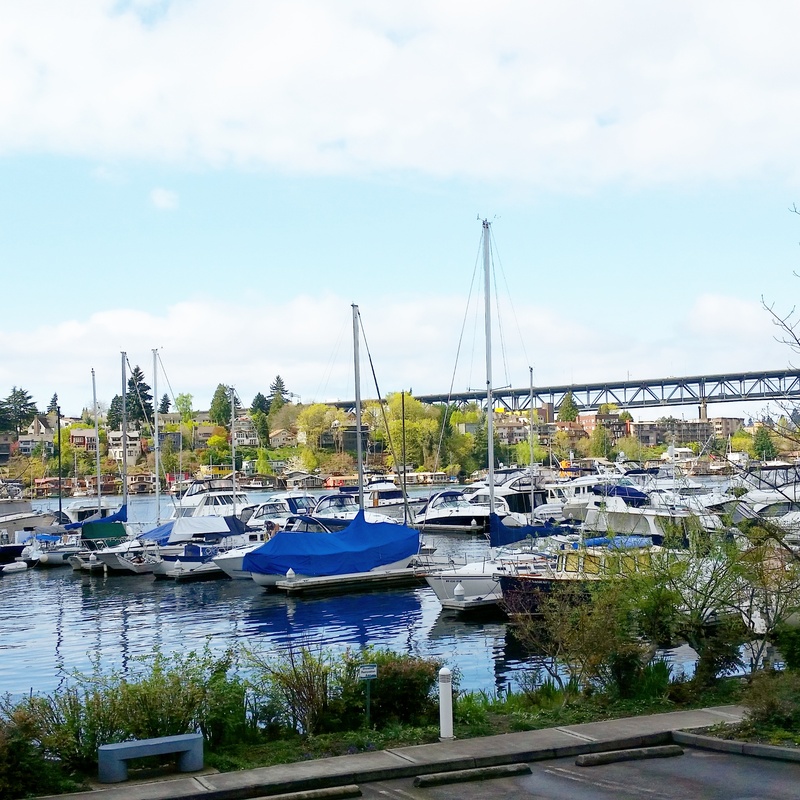 Seattle is very much defined by the water ways that surrounds it, making Emerald City the place to be. With Rainer Mountain, countless green trees and tons of beaches and outdoor activities like ferry rides, sailing, and kayaking, I can definitely say I will be returning to Seattle in the summer.